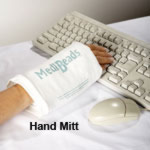 Designed for individuals with the use of only one hand or arm. Lighter than a walker and more stable than a cane. Height adjustment 29.5 in. to 36 in. Folds easily with one hand. Ideal for users who do not require a walker but need a wider base for support. Limited Lifetime Warranty. Adjustable Height: 29.5 in. - 36 in. Overall Product Height: 29.5 in. Overall Product Length: 16 in. Overall Product Width: 18.5 in.